Specializing in Complex Litigation, Federal Practice and Trial Law, he is a recognized and respected trial lawyer with over 35 years of trial experience in a broad range of disciplines including Construction and Surety Law, Corporate, Banking, Secured Transactions, Contracts and Commercial Law disputes, Employment Law and Discrimination cases, as well as Constitutional and Civil Rights litigation. He holds a Bachelors Degree in Business Administration from the University of Miami , a J.D. with a concentration in Business Law from the University of Puerto Rico , and an LL.M. from New York University, with a concentration in Federal Practice and Trial Law . He started his legal career shortly after graduating from law school in 1975. He literally went straight from the classroom to the courtroom when recruited by the very prestigious trial law firm of Gonzalez & Rodriguez. In his first year of practice he second chaired several tort trials, favorably settled over 50 insurance claims and authored the winning briefs for an appeal to the Puerto Rico Supreme Court and a 1st Circuit appeal; which, ironically, he could not enter an appearance because he was still waiting to be sworn into the Bar. In 1984 he joined a life-long friend from childhood to establish Del Toro & Santana, presently being the firm’s managing partner. He is a lecturer of the Federal Rules of Evidence. From 1988 to 1995, he organized and chaired the Federal Bar Exam Review Course for admission to practice before the U.S. District Court for the District of Puerto Rico. He was the proponent and lobbyist for the enactment of special rules for litigating and managing complex cases in the Commonwealth of Puerto Rico Trial and Appeals Courts, and appointed member of the Supreme Court of Puerto Rico Drafting Committee on Special Procedural Rules for Complex Litigation, enacted June 30, 1999. His trial and litigation experience include many high profile cases. These include: defending one of the owners and several related entities in the Dupont Hotel fire litigation (In re San Juan Dupont Plaza Hotel Fire Litigation, 687 F.Supp. 716, April 26, 1988);; defending the Commonwealth of P.R., all former governors, attorney generals, police superintendents, and other key former government officials in the infamous and landmark “Carpetas” case, the largest mass tort case ever filed in the history of the island. More recently, he was lead trial counsel for the Cayo Largo Hotel litigation, where he successfully mediated and settled the most complex construction law case filed in Puerto Rico. 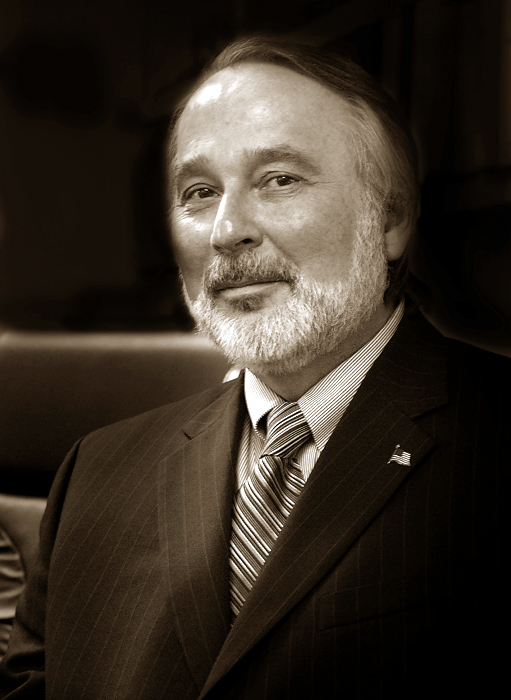 Throughout his career as an attorney, Mr. Del Toro has been involved in several other leading cases in Construction and Surety Law, Contracts and Commercial Law disputes, Employment Law and Discrimination as well as Constitutional Law and Civil Rights and has actively participated in seminal cases in Employment law (Melendez-Arroyo v. Cutler-Hammer de P.R. Co., Inc., 273 F.3d 30, Dec 05, 2001); the Puerto Rico Dealers Act (Morales v. Gregg Shirt Makers, Inc., 682 F.Supp. 142, D.Puerto Rico, Mar 11, 1988; Gonzalez v. Brown Group, Inc., 628 F.Supp. 436, Dec 27, 1985); constitutional law (Colon v. Municipio de Guayama, 1983 JTS 43, 114 D.P.R. 193, 1983); civil rights (Gay Officers Action League v. Puerto Rico, 247 F.3d 288, April 23, 2001), Ramos Padro v. Commonwealth of Puerto Rico, 100 F.Supp.2d 99, June 15, 2000, Ramos v. Roman, 83 F.Supp.2d 233, January 31, 2000); construction law (U.S. Fidelity and Guar. Co. v. Gabriel Fuentes Jr. Const. Corp., 394 F.Supp.2d 440, June 17, 2005); banking (Federal Deposit Ins. Corp. v. Urbanizadora Altomar, Inc., 941 F.2d 1, July 24, 1991), Rexam Ltd. Partnership, S.E. v. Resolution Trust Corp., 766 F.Supp. 41, May 01, 1991), Federal Deposit Ins. Corp. v. Urbanizadora Altomar, Inc., 716 F.Supp. 701, 1989 WL 76051, June 21, 1989); consumer fraud (Rodriguez v. Banco Central, 102 F.R.D. 897, August 22, 1984); zoning (Fuertes y otros v. A.R.P.E., 134 D.P.R. 947, December 17, 1993); securities (Garcia v. Carrion, Slip Copy, 2010 WL 3662593, August 11, 2010 ) and contractual damages (Betancourt v. Nippy, Inc., 137 F. Supp.2d 27, Mar 19, 2001). He has been active in the Federal Bar Association “FBA” leadership since 1984 and was the first Hispanic elected to serve as National President of the association for the term of 2001-02. His FBA achievements include serving in every office of the Puerto Rico Chapter from 1984 to 1990 and every office at the National level from 1995 to 2003. He is also a Founding Charter Life Fellow of the Foundation of the FBA, an organization charted by Congress with a membership that includes numerous federal judges, including Supreme Court Justice Stephen Breyer.